Gatefold sleeve, shrinkwrapped and stickered: "180GSM Heavyweight Vinyl. Comes with MP3s. Details enclosed" (AM or WAV files as AM). An additional sticker on the shrinkwrap includes the barcode. Record stowed in an anti-static inner sleeve. Also includes a double sided 12"x12" lyric sheet. Management for Wildlife Entertainment Ltd.
Packaging is top-notch, the inclusion of an anti-static inner sleeve is fantastic. Sound quality is very good, however, there is lots of crackling. There is not much noise, just poppy and crackly. It is noticeable though the audio is still very listenable. Some might say it adds to the vinyl experience. I'd recommend this pressing, but not if you want pristine sound. Let me start by saying that imo, nearly every song on this album is an instant classic. As reviewer ‘draculateeth’ mentioned, it’s probably the most well-known album of theirs but indeed, it wholly deserves this praise. It’s really rather remarkable how close they’ve hit the nail on the head here! Alex Turner is persuasive and lyrically strong as ever. The band’s timing and instrumentation is right on point. The piece of vinyl itself offers a very high quality rendition of the songs, no pops/clicks whatsoever. On top of that it’s very tick and sturdy (noticeably thicker than other 180gr I own). Rating this 5 stars without a doubt in my mind! The music on this album is as good as expected but production quality of the LP (Europe version) is rather poor. Frayed edges and both sides were very dusty. Even after an dedicated cleaning process this vinyl is crackling as hell. Classic album. 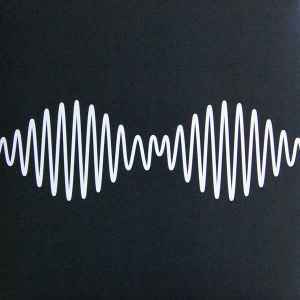 This is pretty much the album that Arctic Monkeys is most well-known for, and it honestly deserves its accolades. The Monkeys are at their most suggestive and captivating, with lyrics that sound like confessions and instrumentation that sounds like secrets. This album is as smooth as butter and sticks to your mind like pitch. It's absolutely gorgeous. AM is definitely one of the iconic albums of this generation.